Don Delillo is one of the greats of American literature and Zero K finds him still at the top of his game. It is in turns a contemplative, existential and incisive exploration of modernity. Jeffrey Lockhart has come to a facility in the middle of Central Asia to support his father and stepmother. His stepmother, Artis, is dying and, in order to give her a chance at survival, she is being put into a form a cryogenic suspension in the hope that a cure can be found in the future. But not everyone at the facility, known as the Convergence, is dying. Some have decided to take the cryogenic plunge into the future anyway through a facility called Zero K. They have been sold on the quasi-religion of the Convergence, that the world is sick and that there may be a better world waiting for them in the future. In the first half of the novel, Jeffrey spends his days wandering around the Convergence. He is given glimpses of meetings, encounters strange and often disturbing physical and video artworks, and meets with a man dressed as a Monk who tends to the dying. Jeffrey spends time with his father discussing hard truths about their shared past, but the conversation is mannered and often cold. There is a Kafka-esque, dreamlike quality to these scenes as if the Convergence is already a place out of time. Two years later Jeffrey is back in New York in a relationship with a teacher of children with disability who has a teenage son adopted from an orphanage in the Ukraine when he was six. But his father draws him back to the Convergence one more time. While there is not much to the plot of Zero K but there is plenty going on in the dialogue and Jeffrey’s observations of the world. Jeffrey is a man searching for connection – with his father, with his stepmother, with his lover and her son – but he is also disconnected from the world, standing outside and observing rather than participating in it. Delillo includes commentary on terrorism, consumerism, identity, relationships and the search for meaning. It is all a little heavy, but in the context of this story and this character it becomes strangely gripping. 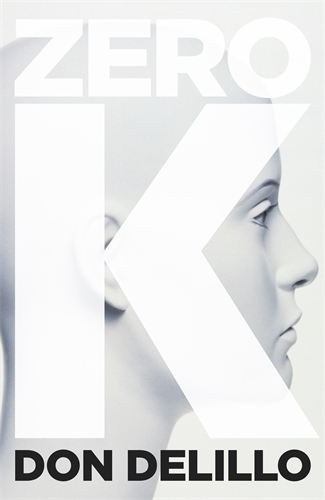 Zero K is thematically rich and written in Delillo’s inimitable style. It is not always easy to read but has flights of the poetic, finding both beauty and terror in the world. While it can be a little dour and a little depressing, it is only because it is often illuminating difficult truths (“Half the world is redoing its kitchens, the other half is starving”). This is a troubling book, but also one to be savoured.